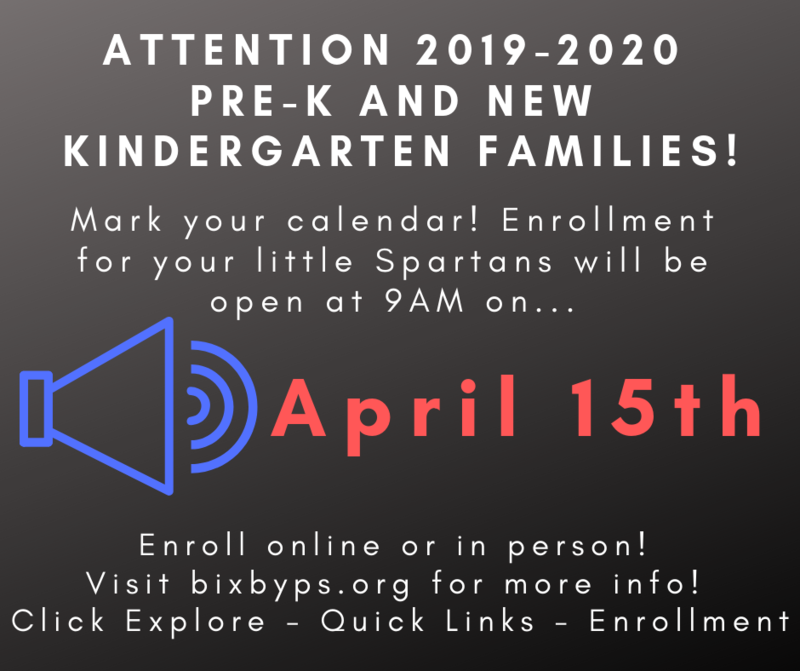 Pre-K students must be 4 years old by September 1st, 2019. First-time public school Kindergarten students must be 5 years old by September 1st, 2019. Pre-K AM Classes are 8:00am-10:45am & PM Classes are 12:10-3:05 (2:05 on Early Release Fridays). Transportation and lunch will not be provided for Pre-K students. Pre-K enrollment is limited to a specific number of students. It will be available on a first come, first served basis based on a time-stamped order of completion. Enrollment opens on April 15th, 2019 at 9:00 AM. Pre-K spots are limited and will be filled on a first come-first served basis based on a time-stamped order of completion. Registration can be completed online or in person at: Enrollment Center: 7 East Dawes in downtown Bixby. Links to enroll online will be posted at the bottom of this page on April 15th, 2019 at 9:00 AM. See here for detailed information regarding required documentation and all things enrollment!